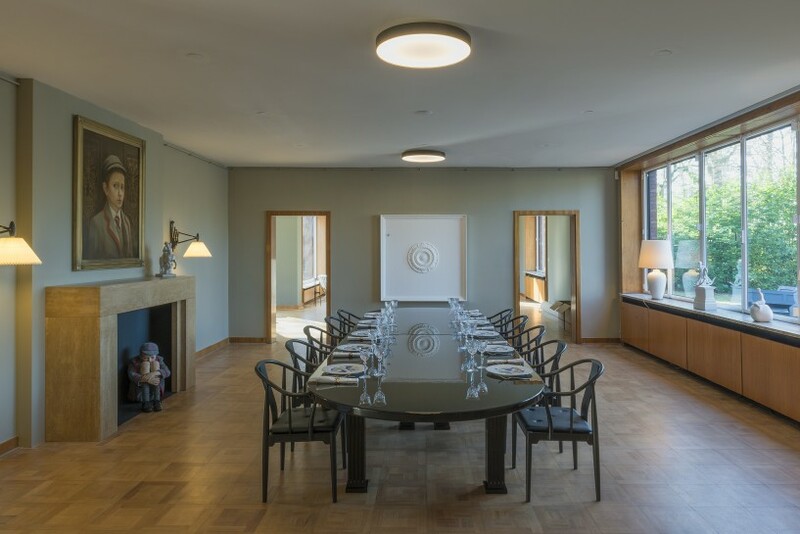 For their solo exhibition Die Zugezogenen (The Newcomers), Elmgreen & Dragset treat Haus Lange as it was originally intended: a family home. The artist duo will stage the moment that a fictional German family moves in. Having previously relocated to Britain, the family has now decided to move back to Germany following Brexit. The installation will reference two decidedly European but still distinct cultures. Elmgreen & Dragset will combine their own sculptural work with ready-made furniture and artefacts in order to create a domestic setting. Some items will already have been unpacked and installed, while others will remain semi-wrapped or in boxes. Presenting the family’s move as a symbol of a changing Europe, the exhibition will reflect upon the visions of Modernist architecture in light of today’s reality, and will consider how many of these ideals now seem distant from our current, global, geopolitical situation. With their first solo show in the Rhineland, Elmgreen & Dragset continue — in their own inimical way — the tradition of site-related works that already established itself in Haus Lange in the early 1960s. Michael Elmgreen (*1961 in Copenhagen, Denmark) and Ingar Dragset (*1969 in Trondheim, Norway) have worked as an artist duo since the mid-1990s. In their sculptures, installations and performances they re-interpret the familiar and quotidian with socio-critical humor and subversive wit. From their sensational installation of a Prada boutique in the Texas desert to their contributions to the Danish and Nordic Pavilions at the Venice Biennale 2009, to their conception for an ostensible art fair in Beijing in 2015, Elmgreen & Dragset constantly devise new possibilities in art presentation and reception and for the use of public spaces. In Fall 2017 they will curate the Istanbul Biennale.